Industries in the second city are still battling to survive despite pledges by President Emmerson Mnangagwa to breathe life into what was once the hub of the country's economy. Ahead of the harmonised elections last year, Mnangagwa told Zanu-PF supporters at White City Stadium in June last year that under his leadership, Bulawayo will re-industrialise with a number of major companies either re-opening or increasing capacity utilisation. This, he said, would result in the creation of employment for thousands of people. The National Railways of Zimbabwe (NRZ), the Cold Storage Company (CSC), Merlin, Paramount Garments and the Zimbabwe Iron and Steel Company (Zisco) were among companies that were targeted for revival. In the health sector, Mnangagwa said Ekusileni Hospital - a brainchild of the late founding father Joshua Nkomo -would start being operational with effect from mid-July last year. "Ekusileni Hospital which has been standing for more than 15 years let me assure you today in broad day light, let me promise you today on the 15th of July next month it will be functioning," said Mnangagwa at the time. "When I say function, I don't mean you will be going there for treatment but the investors will be on site on July 15 to begin fitting all the equipment that is required and then it will open." Seven months later, there is no activity at the site and little or nothing suggests industry revival of closed companies. There has not any meaningful movement in the revival of NRZ and CSC. Mnangagwa only managed to acquire 13 locomotives, 200 wagons and seven coaches for NRZ leased from the South African rail utility, Transnet, under the Interim Solution Equipment agreement inked in February last year. The equipment is being leased from Transnet as part of the $400 million recapitalisation framework agreement with the Diaspora Infrastructure Development Group (DIDG)/Transnet Consortium. The recapitalisation process has been on the cards since 2017. In February last year, the National Social Security Authority (Nssa) clinched a deal with CSC where the pay-as-you-go pension scheme was expected to release money to the meat concern within the first half of that year. Nssa had pledged to inject $18 million into CSC after the government approved the transaction, which was to see the authority acquiring an 80 percent stake in the country's beef processor and marketer, with government remaining with the remaining 20 percent shareholding. However, in no time, the deal collapsed. Since then the government has been courting different investors albeit with no success, leaving the organisation still lying idle. A visit by the news crew to the once busy industrial sites of Kelvin, Belmont and Thorngroove this week revealed that most areas have largely been turned into scrap yards where the fast-growing wave of Pentecostal churches have also increased their dominance of occupying the abandoned buildings of what used to be big manufacturing industries. One such church is Emmanuel Makandiwa's United Family International Church which took over a building belonging to one of the city's biggest textile companies, Textile Mills, which used to employ hundreds of workers during its heyday. Rust is eating away locks to gates of closed companies amidst a groundswell of discontent by the majority of Bulawayo residents. While government has said it will declare Bulawayo a Special Economic Zone (SEZ), the initiative remains on paper as nothing so far has been implemented in the city. Economist Reginald Shoko said there was little activity towards revival of Bulawayo. "The truth of the matter is there is little activity towards revival of Bulawayo because lately as far as I am concerned the revival has only been anchored on the special economic zones, which I think is not an effective narrative in this case," Shoko said. "The SEZ, yes they are a good idea on their own but so far nothing has been done as they have only managed to identify the areas they feel the zones are necessary with Bulawayo being one of them," Shoko said. Shoko, however, hailed the developments at the NRZ, which he said was slowly recovering despite the glaring economic challenges. "NRZ has managed to increase its tonnage and as you might be aware, together with CSC, Zisco and Hwange they are the pillar of Bulawayo industry revival. As such, its high time politicians ring-fence NRZ freight. For example, back in the days we used to know that there was a certain tonnage that could not be carried by road but rail only," he said. Association for Business in Zimbabwe chief executive officer Victor Nyoni said there are no signs that Bulawayo is turning around or is becoming better at all, which is particularly because programmes such as the Distressed and Marginalised Areas Fund (Dimaf) and SEZ are not speaking to what is required to revive industry in Bulawayo. "For example, the SEZ since its launch a year or two ago it has failed to take off, in fact there is no single company that can claim to have benefited from the SEZ. So, we are not even sure if the government believes in the concept in the first place. So, it's something that we are not even worried about because it's not even working for anyone," he said. He appealed for the decentralisation of financial systems and other necessities to allow for easy investment and growth in the city. Nyoni further said until the issue of willingness to develop the economy of Bulawayo has been addressed properly by government "we don't think there will be any chance to revive the companies in Bulawayo." Confederation of Zimbabwe Industries (CZI) Matabeleland Chapter president, Joseph Gunda said despite clear-cut challenges faced by the industries, hope was not yet lost. 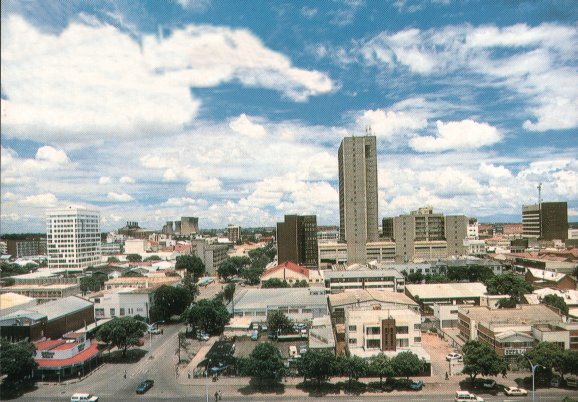 "Bulawayo has the potential and all the ingredients for possible survival. We know the stories why Dimaf failed and whatever strategy we pursue going forward, we should not repeat past mistakes or shortcomings," Gunda said. "CZI has always considered SEZ as the panacea to ultimate revival of Bulawayo industries but what we need now is implementation following establishment of the Zimbabwe Special Economic Zones Authority. "The conditions for registration into the SEZ should also be reviewed especially the aspect of qualification criteria for exports of 80 percent as it crowds out potential local and foreign investors," he said. Gunda said there are some companies that may never revive in their current or old models but the opportunity is there for change of direction or strategy in coming up with new products relevant to the modern world and not just products for the local market. He further cited the current economic woes as the major setback in the revival of industry. "The economic business environment must be conducive and currently it's at its worse with fuel and cash shortages. This impact negatively on business revival. When all has been laid down, said and done, the monetary policies must talk and support business," he said. Under Mugabe, government introduced facilities such as the Dimaf and the Zimbabwe Economic Trade Revival Facility to help companies recapitalise. However, most of the companies that got money from Dimaf remained in doldrums as the loans were of a short-term nature, very small and had punitive interest rates. Some had, however, pinned their hopes on the SEZs for possible economic revival of the city but unfortunately, there is no hope in sight.